for much needed windbreaks for our original (and still important) venture – Hardy Cyclamen. BUT THEN we realised just how varied, interesting and useful willow could be . . . . ! 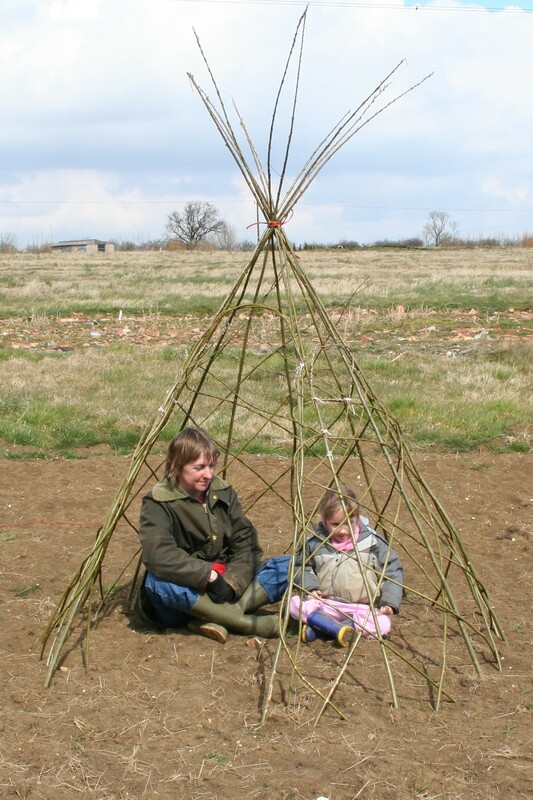 shaded seating areas, wigwams, ‘fedges’ and more – and it’s fun and easy ! 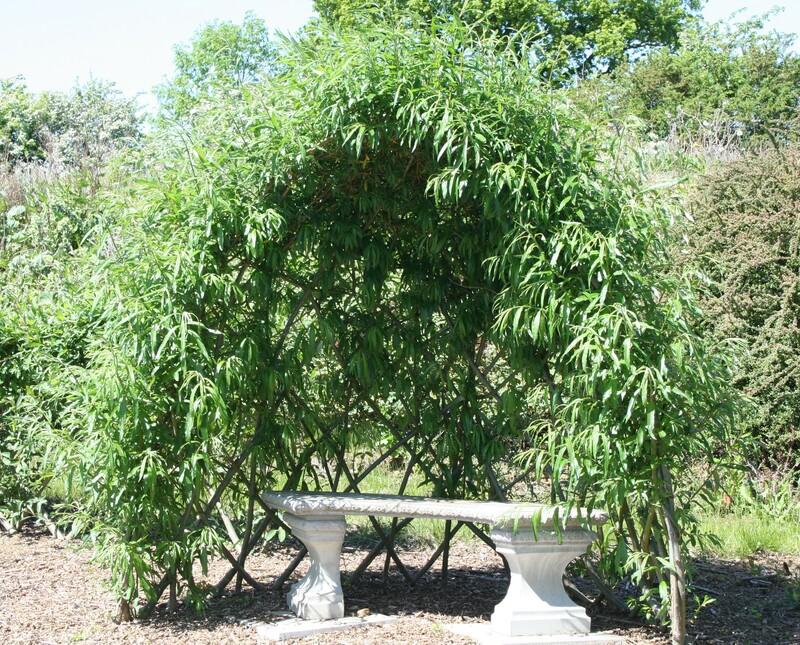 if you buy one of our living willow structure kits you will receive full, easy to follow, planting instructions. Alternatively you can buy the whips individually and plant to your own design. your willow as soon as you are ready to plant during that period. 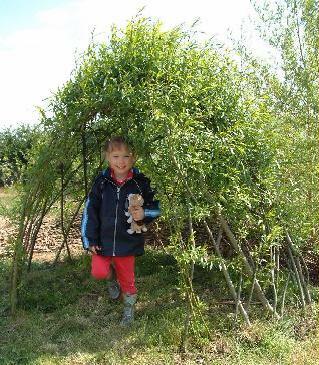 We send living willow orders throughout the UK – to private individuals, schools, nurseries, and landscaping businesses. 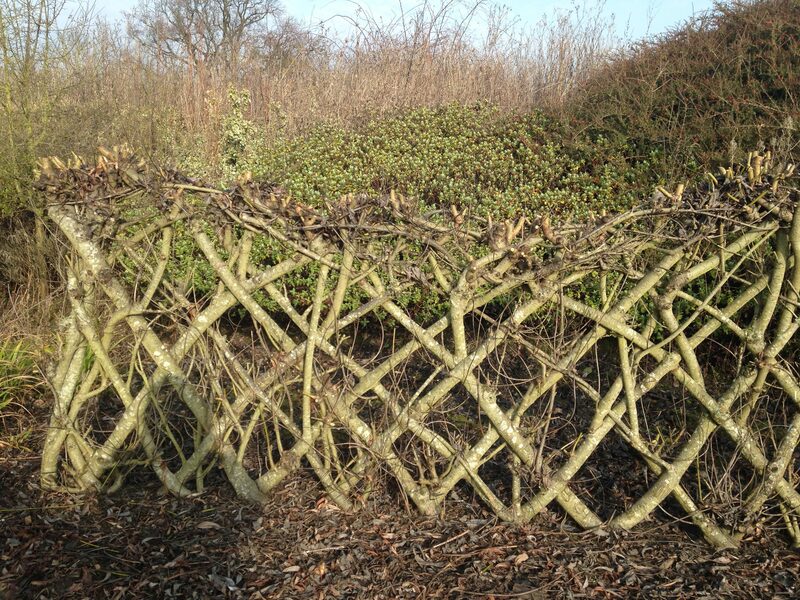 We have our own stock plants for propagation, and our own willow beds provide cuttings of our best varieties of ‘functional’, weaving and ornamental willows – for you to grow windbreaks, attractive garden plants or to provide your own weaving material – and long willow whips, for you to create your own living willow structures and sculptures. for delivery and planting from late November to late February. You can, however, place your order throughout the year. For more information, please have a look through the different sections of our website. Living Willow Dome & Bower Gallery, Living Willow Tunnel Gallery and Living Willow Fedge Gallery. get in touch if you have any questions or if we can help further. 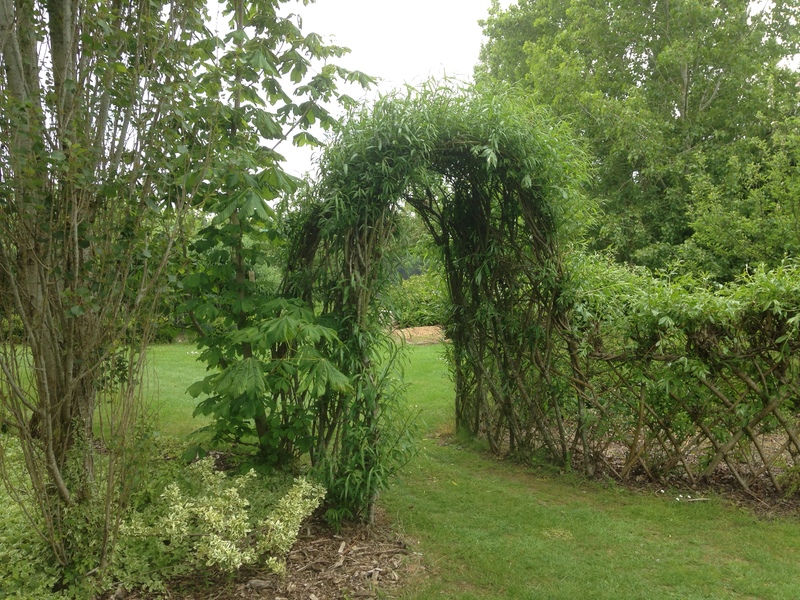 Living willow adds interest, form and structure throughout the year. 9 years after being planted – the original stems have thickened over time and pressure grafted together. The Wigwam Kit has just been planted. The Small Dome Kit is shown in the Spring a couple of years after being planted. to find out more about the Association or the many and varied willow courses run by other members. Anne also runs willow weaving workshops for small groups at our nursery – please click here for details. So, our apologies if you come across any before they are sorted !